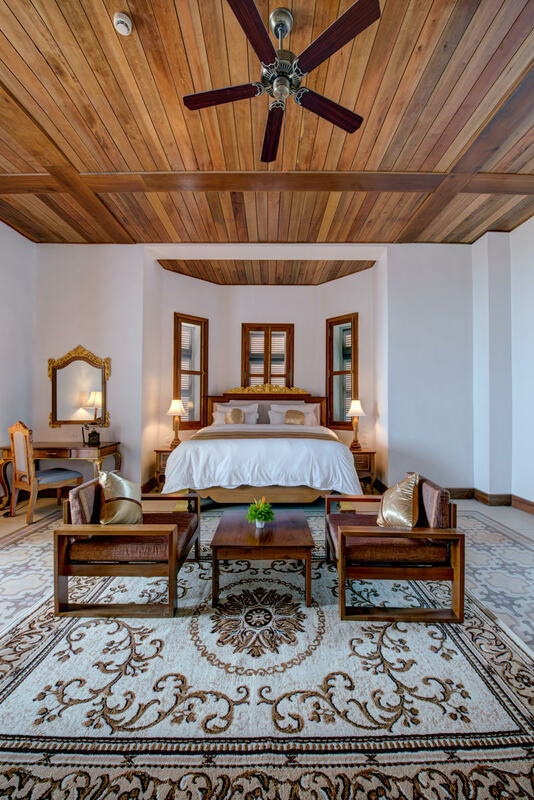 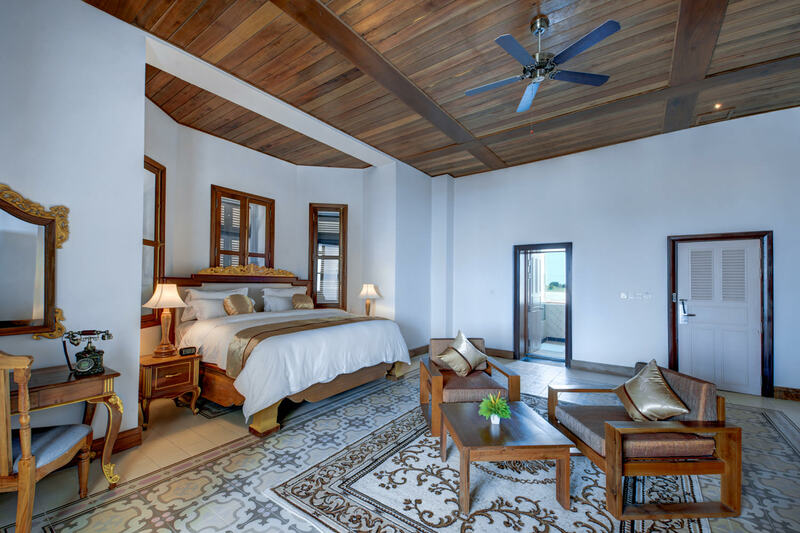 The exquisite suite rooms, the perfect combination of living area and bedroom with classical design. 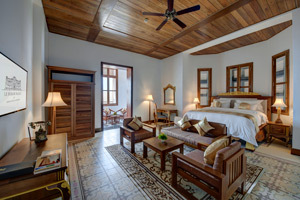 The suite rooms are comfortable and equipped with state-of-the-art facilities. 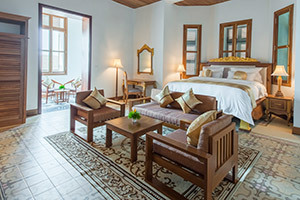 Enjoy comfortable mattress with King Bed, velvety sofa, handmade wooden furniture, Italian bathroom equipment, Spain tiles and some suite rooms have private balconies. 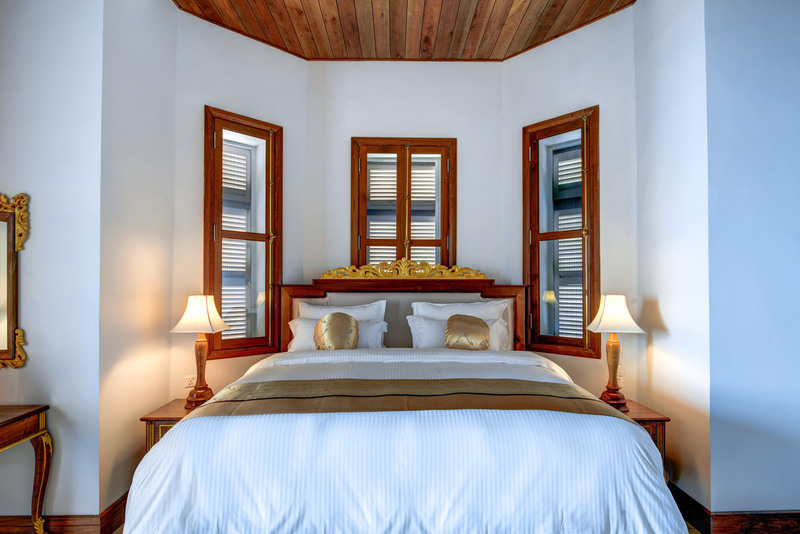 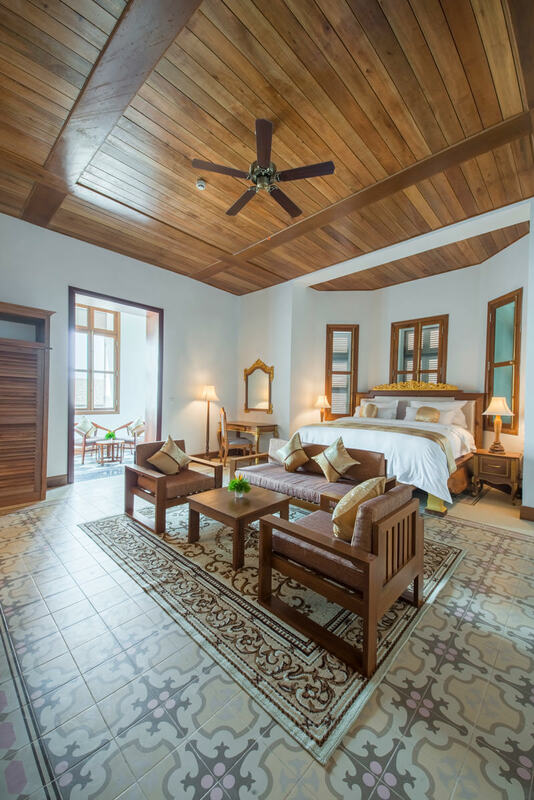 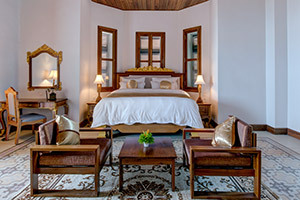 Only two suite rooms have double doors, guests can direct go to tropical garden.